Curtain wall installation continues at 450 West 33rd Street, also known as Five Manhattan West, where an office building from 1969 is receiving a thorough renovation. Developer Brookfield Properties has tasked architecture firm REX with a complete overhaul of the exterior envelope. The sloping precast concrete panels of the original facade will be replaced with glass curtain wall panels. The Manhattan West development also includes two new office towers and a residential tower, 401 West 31st Street. Designed by SOM, the 702-foot-tall, 790-unit residential tower has reached the second floor. Construction should also begin soon for the office towers. 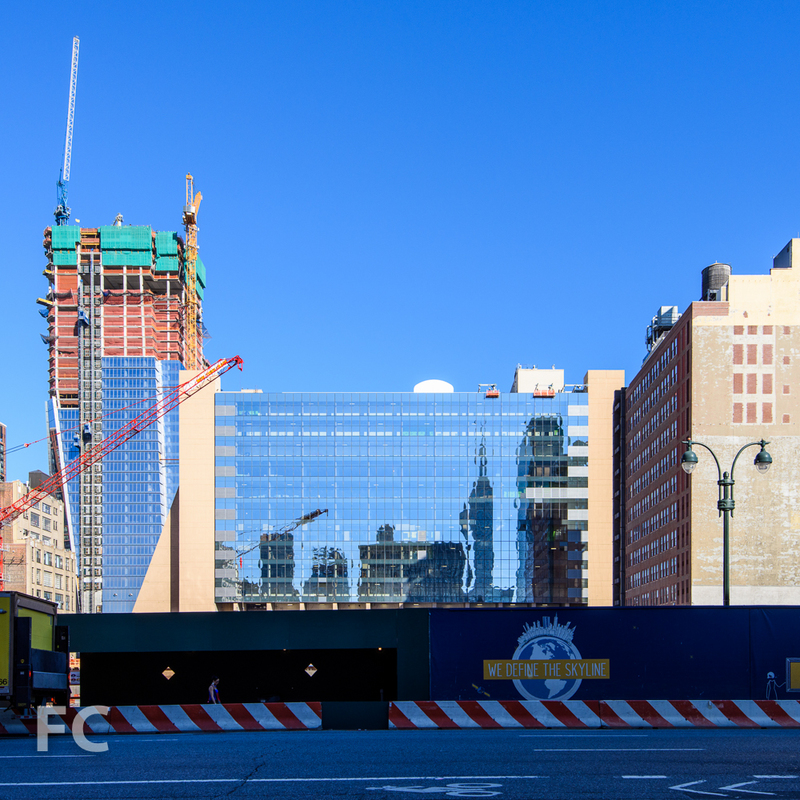 Looking west from Ninth Avenue towards Five Manhattan West (center) and 10 Hudson Yards (left). Southeast corner of the residential tower (foreground) and Five Manhattan West (background). South elevation of the residential tower (right) and the southeast corner of Five Manhattan West (left).